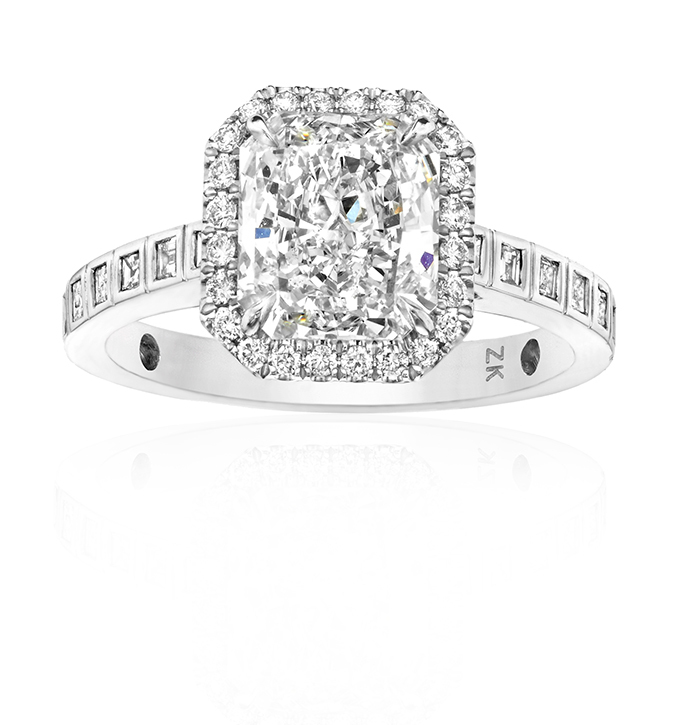 Each engagement ring has a story to tell. 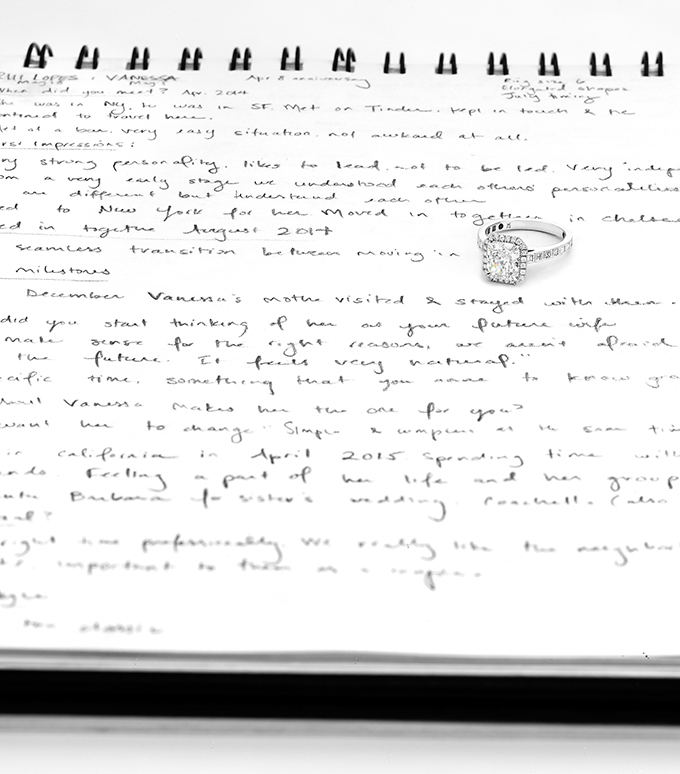 This is the main idea behind the incredible work of Zameer Kassam, a VOGUE-featured jewelry designer who creates personal engagement rings for each couple and each love story. Zameer learned that a jewelry is more than the shine and the beauty or the excitement of wearing a luxurious piece. It is a way of expression and a celebration about the most important moments in life that will last forever. 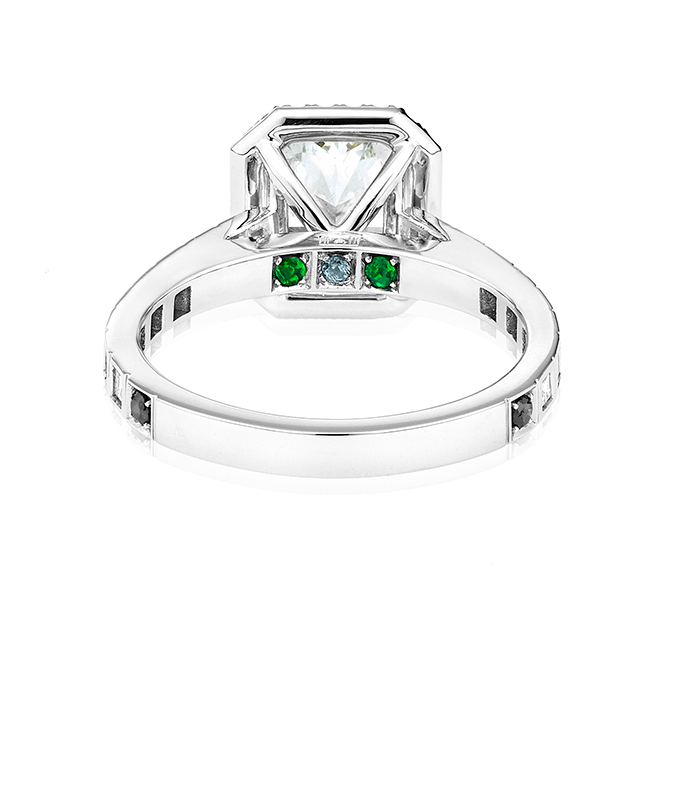 So, Zameer gets inspired by the love stories of his clients and transforms the classic engagement rings into personal, unique designs with secret gemstones that represent a special moment of them. The love story of Rui and Vanessa was a result of the following stunning creation. The couple had their first date at a bar called Brass Monkey, which has a carved ceiling with squares. 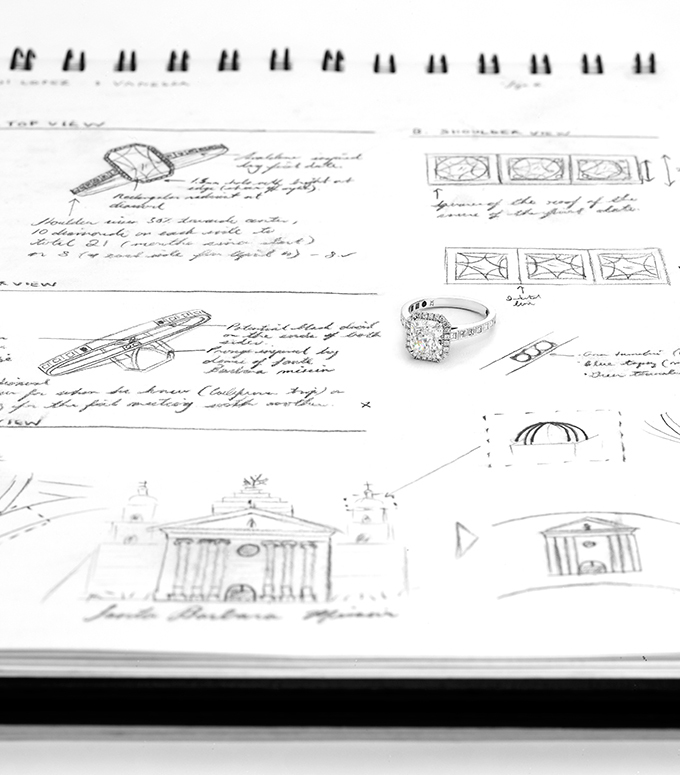 According to their first date, Zameer carved the squares right on to the side of the ring and in the inside of these squares added little square diamonds. A classic yet cool creation with subtle details that tells the story of these two people… So dreamy!